Phoenix Hall opened in June 1996. It was built as part of a significant inner city regeneration project by the Heartlands Development Corporation in conjunction with Birmingham City Council. BVT built 80 homes in the area and manage the Hall on behalf of Birmingham City Council in conjunction with Bordesley Village Community Association. The Hall is situated in Bordesley Village, close to Birmingham City Football Club, and is surrounded by a well-established and diverse community. It has a wide range of regular activities aimed at meeting local community needs, promoting community engagement and strengthening community cohesion. At present we have 3 youth clubs, a senior citizen club & lunch service, various fitness classes and ample partnership programmes with large organisation. The hall alsio provides meeting facilities and private hire functions. On the 1st 2016 February, BVT announced that due to cuts in budgets they would no longer be able to maintain the running of Phoenix Hall & served a notice for its closure by 1st April 2016! 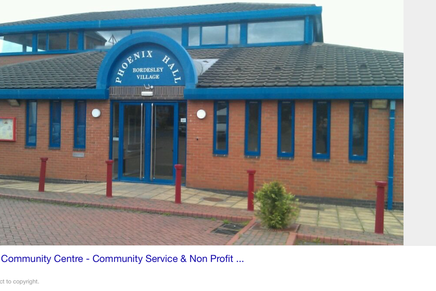 BVT pay £61,000.00 annually to maintain Phoenix Hall. This figure pails into insignificance when we consider the loss of valuable and much needed services within the community, loss of jobs and the destruction of service at the heart of the Bordesley Village community. This closure will affect 4 staff who man the hall & ensure that the services and activities offered are maintained. Furthemore there is a team of 15 dedicated volunteers that support the delivery of service to a service user base in excess of 10,000 people. No prior warning were issued to the Team, nor were the team given the opportunity to devise plans to take over Phoenix Hall from BVT and run it independently. At the BVCA, we are committed to running the hall & continuing services for the local community. 1) BVT to extend the deadline for the closure of the hall, in order to provide BVCA with the opportunity to create a viable & sustainable plan for the future of Phoenix Hall. 2) BVT to co-operate with the plan and enable BVCA to take over Phoenix Hall. We greatly appreciate your support in securing the future of Phoenix Hall and community it serves.